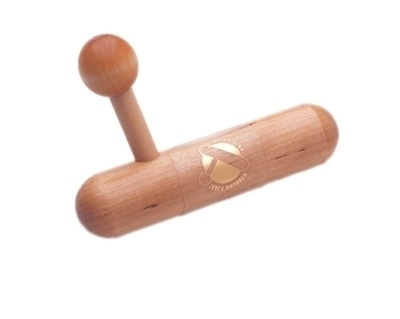 Manual non-powered massagers are designed in functional shapes. Comes with 7/8 in. diameter wooden ball. Designed to assist the "hands-on" therapist engaged in deep muscle therapy to avoid overuse injuries to the hands, wrists and forearms. Dimensions: 5" x 1" x 3"